Rural economic development has been given a promotion at the federal level in Prime Minister Justin Trudeau’s latest cabinet shuffle. 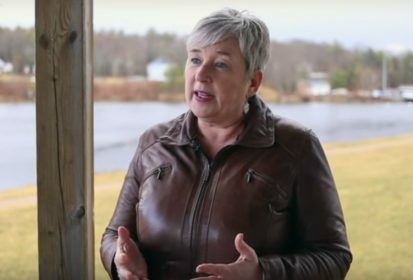 In the shuffle, following the departure of Treasury Board president Scott Brison from cabinet, Trudeau on Monday called up Bernadette Jordan, MP for the southern Nova Scotia riding of South Shore-St.Margaret’s, to head a newly created portfolio as minister of rural economic development. The appointment is a first in that Jordan becomes the first-ever female federal cabinet minister representing a Nova Scotia riding. A dedicated federal portfolio for rural economic development isn’t technically a first, although one hasn’t existed since the forestry and rural development department of 1966-69. In her new role Jordan is expected to oversee “the creation of a rural development strategy to spur economic growth and create good, middle-class jobs in rural Canada,” Trudeau’s office said in a release Monday. Before her election to the Commons in 2015, Jordan served as a development officer for the Health Services Foundation in Bridgewater, N.S. Monday’s appointment is a promotion for Jordan, who from last August until now had served as parliamentary secretary for the minister of democratic institutions, Ontario MP Karina Gould. As an MP, Jordan has also chaired the Atlantic Liberal caucus and served a stint last year as chair the Commons standing committee on fisheries and oceans. The Canadian Federation of Agriculture, in a separate release Monday, hailed the creation of the new ministerial position as “clearly demonstrat(ing) the importance of our rural communities” and their businesses. “As a rural-based industry, the competitiveness of Canada’s agri-food industry is intimately connected to the vibrancy of rural communities and critically important to Canada’s economic growth,” the CFA said. “We look forward to working with Minister Jordan and discussing the CFA’s key rural priorities which include introducing long-term, predictable infrastructure funding with provisions to address the full breadth of rural and agricultural infrastructure needs,” CFA president Ron Bonnett said in the release.